You know how much I love to play around with makeup, trying new brands and items that I might find. Little by little, I’ve been stocking up on NYX Cosmetics products to do a full makeup review! How to Create an Easy “No Make-Up” Make Up Look! I’ve received a few requests on how I do my No Makeup Makeup look, so I’ve decided to share my routine. Hopefully watching me will give you some tips to achieve a natural glam look without wearing tons and tons of makeup. Let’s talk about skincare! I’ve been working really hard to feel good on the inside, now I’m looking at ways to feel good on the outside too. Whether it be taking part in the latest ‘skincare challenge,’ developing my own skincare routine, or simply drinking tons of water to keep my skin hydrated, I am constantly looking for new ways to take my skin to the next level. So I decided to give Microneedling a try! I can confidently say that my hair is flourishing right now. I started my sisterlocks in 2014 and one of the ways that I keep my hair healthy and growing is taking good care of my scalp. I love shopping for luxury beauty items on Ebay because sometimes you can find items that are unexpected or even unavailable in regular department stores. Most of the items I want are available with the “Buy it Now” feature so I don’t have to bid on anything. I filled my cart with “Buy it Now” items and created a custom beauty bag for my mom with some of my favorite things. 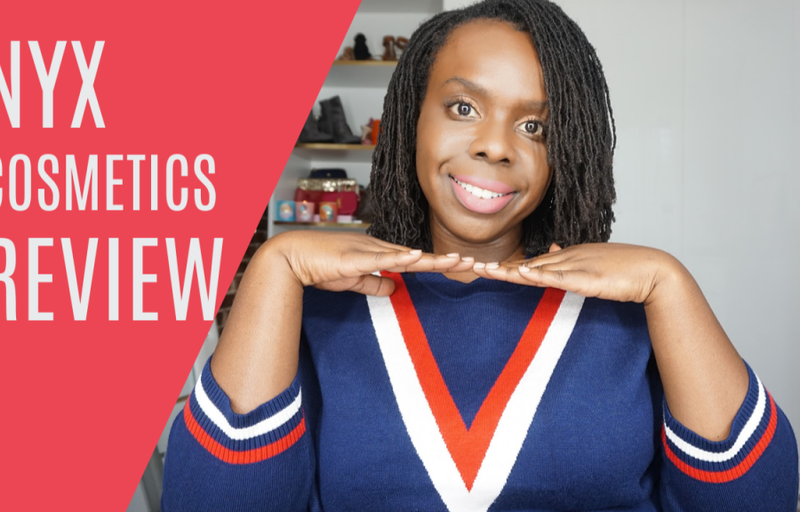 I decided to look at a solution that would help me to organize my makeup collection, have a place to primp (and film beauty videos) and a desk that I could use during the day to get work done. My solution was a vanity/desk. You can throw a stick and find a boyfriend, but what about when we want something more? I’m at that interesting age where acne is still a thing, but I know wrinkles and aging are around the corner. When it comes to my skincare, I have to address both. Hello my loves, a lot of you requested a holiday makeup tutorial based on my last video. I am definitely doing makeup for beginners, so while it isn’t perfect its definitely an easy makeup tutorial that you can add your own spin to! Links to the products I used are below! I have a lot of skin discoloration, so I started wearing foundation in high school to even out my complexion. Even though I’ve been wearing makeup every day since I was a teenager, I’m definitely a beginner.